Leading up to World AIDS Day, the ONE Campaign released a damning report on the potential impact of the White House's proposed $800 million cut to HIV/AIDS efforts that experts predicts could result in millions of new HIV infections and hundreds of thousands of deaths, reversing progress the world has made in the fight against AIDS. "The FY 2018 budget proposal would have led to the first global increase in new HIV infections since 1995, with nearly 200,000 additional HIV infections in the first year," the report, entitled "Red Ribbon or White Flag, The future of the U.S. Global AIDS Response," reads. "If these cuts were maintained, nearly 600,000 additional people could be infected by 2020, dragging the world back to levels of new infections last seen in 2011." The President's Emergency Plan for AIDS Relief (PEPFAR) announced earlier this summer that four African countries are closing in on controlling their HIV/AIDS as a result of U.S. investment. However, the good news was overshadowed by concerns over President Donald Trump's 2018 budget proposal which slashes PEPFAR by 17 percent and overall, guts global health programs by $2 billion, a move that AIDS experts and advocates predict will upend progress on curbing the epidemic. "New estimates have found that the 17 percent cut of $800 million to U.S. bilateral AIDS spending included in President Trump's FY2018 budget proposal would lead to over 4 million deaths and 26 million new HIV infections in sub Saharan Africa over the next 15 years,"the report states. "That works out to more than 790 deaths and 4,800 new infections every day in the hardest-hit region." ONE Global is an international non-profit that combats poverty and preventable disease around the world but particularly in Africa. Their report is critical of the PEPFAR strategy released by Secretary of State Rex Tillerson in September, which focuses on 13 high-burden countries with the potential to achieve epidemic control by 2020. But the plan, aimed at reducing future costs, reduces investment in South Africa, India and Mozambique — countries with some of the world highest HIV/AIDS rates in the world.The strategy also eliminates funding for seven countries that have historically partnered with PEPFAR and reduces funding for 17 other countries. Despite the cuts, Mr. Trump has name-checked the work of PEPFAR, mentioning the program during his United National General Assembly speech in September, as has Secretary of State Rex Tillerson. Ambassador Deborah Birx, the U.S. Global AIDS Coordinator and Special Representative for Global Health Diplomacy, has taken Mr. Tillerson's "do more with less" mantra to heart, telling CBS News in July that PEPFAR's programs needed more scrutiny. "Can we draw a straight line from taxpayers in Iowa from the countries and individuals we are serving?" she said. The proposed cuts go further than PEPFAR though — Mr. Trump has also proposed to cut contribution to to PEPFAR's international partner, The Global Fund, by 17 percent, which in turn, is likely to depress commitments from other donor countries. 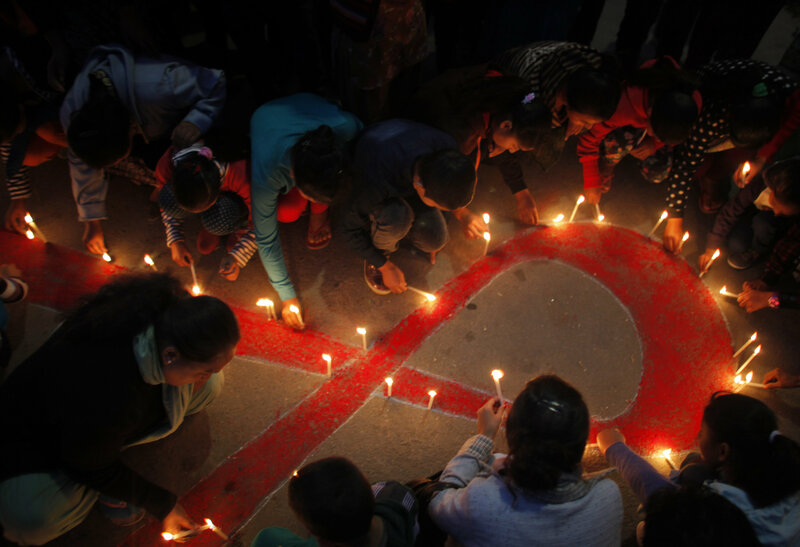 "Slowing U.S. efforts to fight HIV/AIDS for three years could set the global response back nine years and squander much of the $64 billion that the U.S. has invested over that time," the report says.